"Come out to earth, we'll have a few laughs..."
Rather than make this an overlong essay, Da-da will get right to it. Since we are literally living inside a giant monitoring construct designed to keep you mindless and moving predictably through a routine... we all have the opportunity to be like Detective John McClane in the movie, "Die Hard," at least metaphorically. 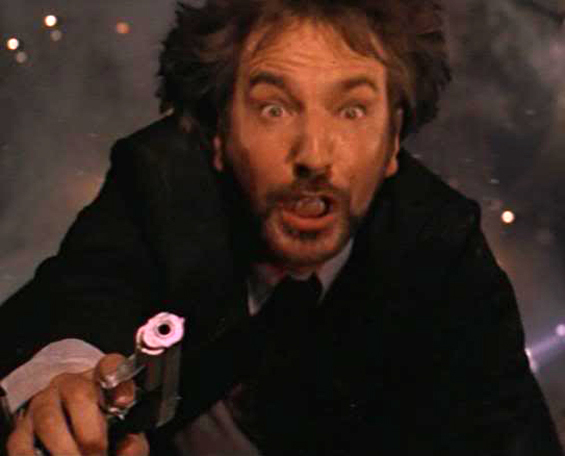 McClane refuses to cooperate with lawless renegades and crawls through the varied, behind-the-scenes nether regions of the Nakatomi Building, keeping those who are up to no good off-balance, while preserving the lives of innocents, not to mention his own, communicating what he knows as needed. Simply put, people need to be like John McClane, "the fly in the ointment, the monkey in the wrench," in their mindsets. This goes for everyone in the world, about everything. Look around and think about what's going on, recognize the fear patterns. No violence necessary. No fear necessary. Turn on a light. Poke around. Question everything. Do some research. Break the program, break the system, save the world.